Ondo State Hosts Auto Rally 2018 And Its With A Bang! - AutoReportNG "AutoReportNG-The No 1 Car Blog In Nigeria That You Can Trust - AutoReportNG"
Home / Auto-Show / Car Shows / News. 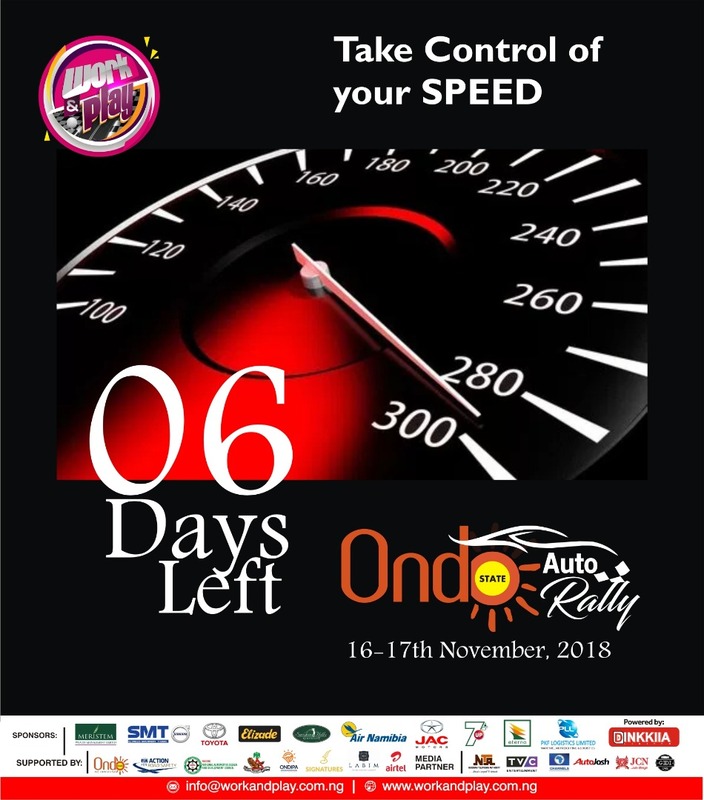 Nigeria / Ondo / Ondo State Hosts Auto Rally 2018 And Its With A Bang! Ondo State Hosts Auto Rally 2018 And Its With A Bang! The Executive Governor of Ondo State, Arakunrin Rotimi Akeredolu has been announced by the organizers of the Ondo Auto Rally as the main host of the event billed to touch down at different spots in the state, from Friday, November 16th to Saturday 17th, 2018 at the state capital, Akure. According to Olumide Omolade, the coordinator of the 2018 race, the governor is also being prepared to host an exhibition of two-man race that would feature himself and founder of Elizade Nigeria Ltd/Chairman of Toyota Nigeria Ltd, Chief Michael Ade. Ojo (OON). The event is sponsored by Toyota Nigeria Ltd, Elizade Nigeria Ltd, SMT Nigeria (Volvo), JAC, Meristem, Eterna Oil, Air Namibia, Pepsi, and ONDIPA. Also in support are Ondo state government, Nigeria Travel week, Smokin Hills Golf Resort, Elizade University, Heritage Hotel, Sunview Hotel, Signatures Club, Template Lounge, Splendor Lounge, FRSC, and NADDC. Most TV Stations are partners to the event. Apart from the professional drivers that would be manning a number of race cars that have been scheduled to burn the tracks in Ondo State, the two-man race between the governor and Chief Ade. Ojo is expected to be the key race for the Day 2 of the event. Omolade said car lovers from different parts of the country would be converging on Friday, November 16 at the Smokin Hill Golf Course for registration before the off-road race of 4x4 category will be flagged to set the event rolling. From the maiden edition’s experience of last year, we have scheduled the off-road race for the first day. So we will be able to manage the time for the other races that are coming at other venues. For your information, 1.8-liter engine race also known as the Sunshine race will be participating in this year’s event. A lot of entertainment await participants and audience. Also, there is Special Golf Kitty at Smokin Hills, Ilara-Mokin. This year’s event is meant to spike local tourism. We will be employing about 250 people to man the different aspects of the race. Racers attending the event from Lagos are expected to assemble at the Lagos Ibadan Tollgate in Lagos by 7:00am on Friday, November 16. They would be led by Federal Road Safety Corps officials in a convoy down to Ilara- Mokin where the first leg of the two-day event will take off. The flag off is scheduled to take off at 2:00pm, same day. The event would be rounded up with drifting/car stunt at the Arcade on Igbatoro road Akure. There would performances by artists, Mizz Kiss, Vermis Bakare, Lala Eleniyan, Fawazzy and others before the presentation of prizes to winners who will cart away prices of over N3 million worth of cash and goods. AutoReportNG is part of the media partner for this event.